I read this article and found it very interesting, thought it might be something for you. 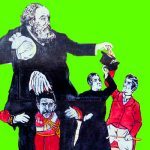 The article is called What Keeps the Rich and Powerful up at Night, and Why They’re Happy You Don’t Care and is located at http://evonomics.com/keeps-rich-powerful-night-theyre-happy-dont-know/. Imagine Beyonce’s stylist’s hairdresser’s cousin tells you exactly what happened in that elevator between Solange and Jay Z. The story is compelling, explains obscure lyrics in Lemonade , makes intuitive sense. You can’t wait to tell your friends. Everybody chatters excitedly about your news, each adding his or her own analysis and interpretation. And then, the conversation shifts to something else and neither you nor they ever think about it again. Knowing which big Hollywood action star has taken steroids for so long he can’t get it up seems at first glimpse fascinating but is soon forgettable and ultimately useless. Interest rates are the opposite. After lust, gravity, and whatever it is that holds atoms together, interest rates may well be the most powerful force in the universe. If you knew, for certain, what the rate would be three months or two years or ten years from now you would be rich beyond dreams of avarice. The men and women that rule the planet obsess about interest rates more than just about anything else. They don’t mind the rest of us find them boring. So a primer. Knowing how interest rates function will immeasurably improve your understanding of how the world actually works. 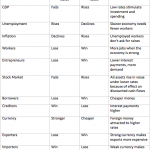 Bankers and economists spend their life studying this stuff, so to make it comprehensible for civilian readers I’ll have to simplify a bit and leave some things out. Nonetheless, the essence is pretty straightforward. Sadly, economics is one of those subjects where boredom is a signifier of seriousness. That’s to keep the hoi polloi from knowing the secrets inside the temple. I’ll strive to keep this both entertaining and informative. Okay, here goes. 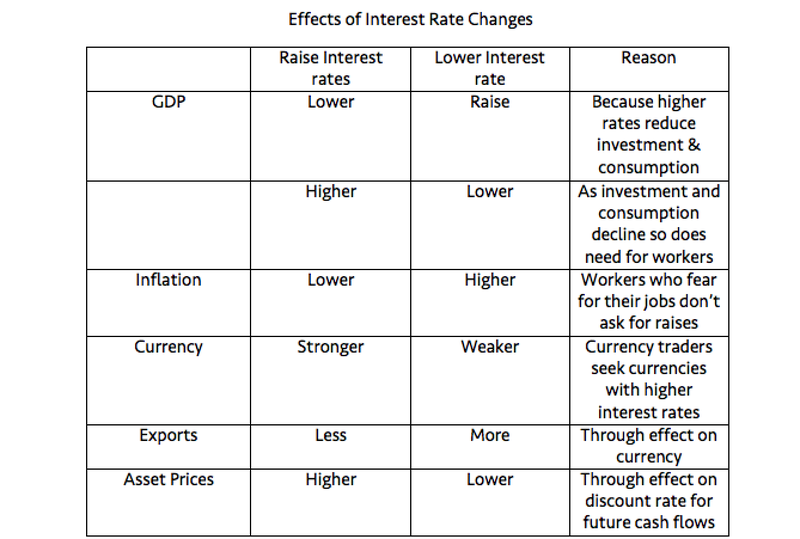 Interest rates are the price of money so changes in rates affect just about everything else in the economy. They connect the present with the future, and remain the most powerful tool policy makers have to control unemployment, inflation and economic growth. 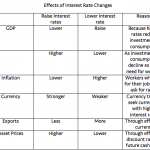 The ramifications of interest rate changes can also have vast political effects. Everything from Britain’s victory in the Napoleonic Wars to the success of Reagan and Thatcher can be explained through the prism of interest rates. By all rights France should have defeated England in the Napoleonic Wars. Its army was bigger, it controlled more territory, its soldiers were better and battle hardened. Britain’s great advantage: it was credit worthy. Lenders were willing to front capital to Britain much more cheaply than they would to France. Since Napoleon was an absolutist ruler, anyone buying his bonds recognized they could do little should the Emperor decide to stiff them. Britain, on the other hand, was governed by Parliament, and investors knew a significant percentage of MPs owned government debt. If Britain refused to pay what it owed, Members of Parliament themselves would take the hit. Parliament would never let the British government default so Britain could access as much capital as needed, allowing it to subsidize allies, build ships, and arm soldiers at a considerably lower cost than the more martial Napoleon. Had Napoleon been able to borrow as cheaply as Britain, he probably would have never had to fight the battle of Waterloo. Closer to our own time, the Reagan Thatcher revolution that still defines our era would have never triumphed without central bank manipulation of interest rates. Today their neoliberal victory seems inevitable but at the time no one would have imagined the rampant job insecurity and stagnant wages we now accept as an ordinary feature of life. Back then, thermonuclear war or socialist revolution looked more likely than low pay, impotent unions, and apartments in Manhattan’s Lower East Side selling for over $1 million. Interest rates help explain all three phenomena. The 1970s have a bad reputation amongst pundits and conservative economists but for most people, they were pretty good. Workers generally got a raise every year. Just about everyone lived better than their parents and expected their kids would do better than they did. With jobs plentiful and secure, getting fired was no big deal. Real wages rose faster in the 1970s than any decade since. The rich, on the other hand, didn’t do so well. The stock market lost ¾ of its value between 1966 and 1982 and bonds did even worse. Perhaps most terrifying for the elite, ordinary citizens’ respect for established authority dissipated, as the rebellions of the 1960s seeped into the mainstream. Wildcat strikes broke out with increasing regularity, employees refusing to be pushed around by either bosses or union leaders. Workers ruled the shop floor. Management (and owners) feared they had lost control. Something had to be done. In 1979, in order to stem inflation, Federal Reserve Chairman Paul Volcker raised interest rates. Thatcher did the same in Britain. Both pretended these rate hikes were mere technical measures, tools required to reduce the money supply, but what they were really doing was manufacturing a recession. Between the Great Depression and the Dot Com bust, almost no British or American recessions occurred organically; just about all were created by the Federal Reserve or the Bank of England. Central bankers call it “taking away the punch bowl just when the party is getting good.” If the economy seemed to be overheating, inflation was threatening or the currency was collapsing, central banks would raise rates and slow the economy. When central banks raise interest rates, borrowing becomes more expensive so firms contemplating building new factories are less likely to do so. Investment shrinks. The national economy is composed of consumption, investment, and government spending. 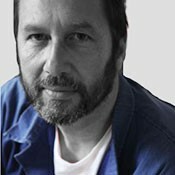 Consumption is reasonably constant. No matter what, we need to feed and clothe and house ourselves. Investment on the hand is volatile and variable. With investment declining due to higher rates, the economy contracts. A fall in GDP means that firms are selling fewer goods and when firms are selling less, they layoff workers. Unemployed workers consume less and the economy shrinks some more. Higher interest rates inevitably create a feedback loop that slows the economy. And that is precisely what happened in the early 1980s. The prime interest rate rose to over 21%, investment collapsed, so did GDP, and unemployment rose to record levels. Volcker’s rate hikes pushed the global economy into the worst recession since the 1930s. Bankruptcies skyrocketed. Businessmen, union leaders, and government officials pleaded with Volcker and Thatcher for a rate cut. Thatcher famously told critics “The lady was not for turning.” The Fed Chairman was implacable in his conviction that defeating inflation was worth the cost in higher unemployment, shattered lives and lost growth. They succeeded beyond their wildest dreams. Workers fearful of losing their jobs no longer demanded cost of living increases and by 1983, inflation was eradicated, never to return. Combined with anti labour union legislation, it was the high interest rates and the recession they engendered that crushed workers’ intransigence. Power shifted back to management. Labour’s share of national income declined. A working class hero is no longer something to be. The world we live in today, with few raises and even less job security originated with the rate hikes of the early 1980s. So the first lesson about interest rates is: higher rates → less investment spending → lower GDP → increased unemployment → lower inflation. Lower rates do the opposite: stimulate the economy and so potentially spark inflation. And right there you pretty much know enough to become a central banker. If you fear inflation and are willing to accept higher unemployment, raise interest rates. On the other hand, if the economy is stagnant and inflation not a threat (the situation we find ourselves in today) then cut rates to stimulate the economy and create jobs. The effect of Volcker’s decision in the early 1980s had another long-term consequence. Higher interest rates made the dollar (and sterling) more expensive, pricing US and UK manufactures out of global export markets. By raising export prices and reducing investment in modern machinery, the interest rate hikes contributed in transforming America and Britain’s industrial heartlands into rust belts. That’s because the second major effect of Interest rate hikes is to strengthen the currency. If investors get a better rate in US dollar accounts than in Japanese yen, they will sell yen and buy dollars, lowering the value of the yen and increasing the value of the dollar. A high US interest rate means a stronger dollar, helping American tourists enjoy cheap vacations abroad but hurting exporters hoping to sell goods and service to foreigners. A cheaper yen helps Japanese exporters, a stronger dollar makes US exports more expensive and harder to sell. Manufacturing jobs in the West would have probably disappeared anyway but the Volcker/Thatcher rate hikes certainly sped up their demise. German manufacturing export success is at least partly due to the weak euro. Most people interested in interest rates, however, are not focused on what they would view as ancient history. The business sections of newspapers obsess about interest rates because knowing their future path is a guaranteed way to make money. Traders think of little else. That’s because interest rates affect the price of just about everything from gold to shares to bonds to houses. Which brings us to the next thing to know about interest rates: an interest rate cut will increase the value almost all assets. A rate hike, on the other hand knocks down the price of everything from houses to bonds to shares. Whenever an entrepreneur previously lauded in the press for his sagacity loses his fortune, it generally isn’t momentary idiocy that eviscerated his empire. The most likely cause of his collapse is an unexpected interest rate hike. Falling rates make aggressive businessmen rich, rising rates bankrupt them. The great stock market and real estate boom of 1982 to 2007 was fuelled mostly by interest rates falling from 20% to almost nothing. Market participants knew that central bankers had their back, that the Federal Reserve and the Bank of England wanted stocks and bonds and houses to keep appreciating and had the tools to ensure their continued rise. In the 1990s traders called it the Greenspan Put. Any time the stock market sputtered and threatened to decline, Alan Greenspan would cut rates and wiz bang, the market returned to its upward path. Its easy to understand why house prices go up when rates go down: homebuyers decide how much they can afford by looking at their monthly nut and mortgage costs naturally fall along with interest rates. What is a bit more complicated is why companies and stocks are inevitably worth more. The effect is mathematical, almost magical. The simple explanation is that since interest rates are the cost of money, if money is cheaper then everything else becomes more expensive. Below a more complete explanation. It isn’t that complicated, really, but if the phrase “discounted present value” or “current value of future predicted cash flows” terrifies you, you can skip the next two paragraphs. If you do skip them, then please just remember this: cuts in interest rates make shares, bonds, firms and homes (actually just about all assets) more expensive. Just 267 words, you can do it! The value of any asset whether an apartment block or a steel mill or a T Bill or a piece of machinery is the value of the cash flows that asset will generate, from now until the end of time. If a corporate raider wants to buy a company or a firm wants to build a factory, the key question is how much money will it make back compared to its cost. If it makes more money in the future than it costs today, then spend the money now and buy it. But there is one caveat. Money in your pocket today is more valuable than a promise of money in 10 years time. You would rather have a dollar now than a dollar sometime in the future. So to find the current value of an asset you have to “discount” its future cash flow to find its “present value”. And the “discount” is the interest rate. Look at it this way. If you have $100 today and you can put it in the bank at 5% interest then next year you would have $105. So $105 next year is equivalent to $100 right now. If rates go up to 10%, an investment would have to make you $110 next year to be worth $100 today. So to determine the value of any asset, investment bankers first estimate its future cash flow and then discount it to determine present value. The effect of interest rate changes on present value is quite dramatic. That is why the stock market shoots up whenever the central bank promises to cut rates. So that’s pretty much it. High interest rates slow the economy, lower inflation, strengthen the currency, cut asset prices. Rate cuts do the opposite. 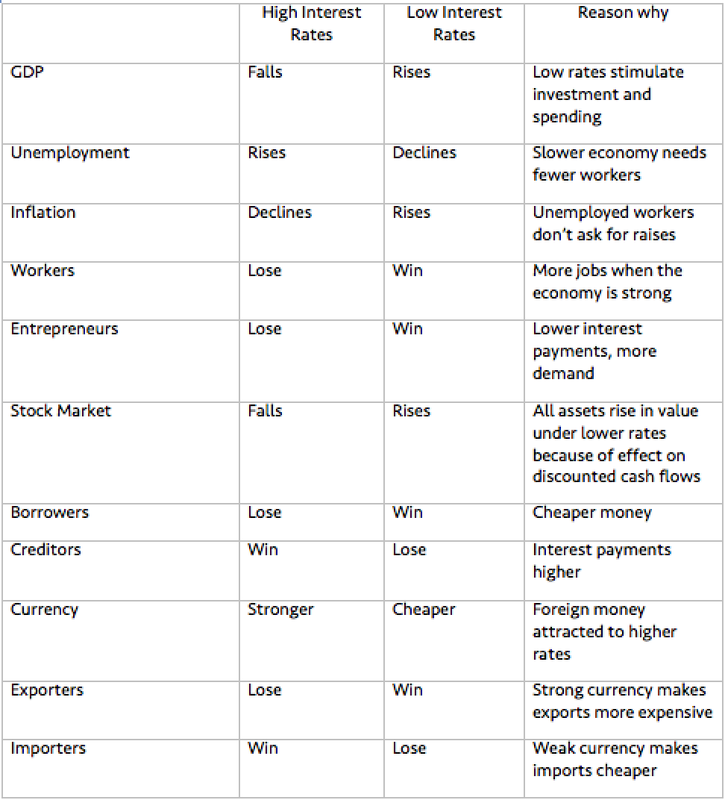 I’ve included a handy dandy table at the back of this article, which you can print, laminate and keep in your wallet. Bankers, traders and the people who run the planet know this stuff in their sleep. But wait. If you have been paying any attention to the global economy since the financial crisis, you’ve noticed a tragic flaw in my argument. I’ve been banging on about how interest rate cuts stimulate the economy and yet, for the past eight years we have had the lowest interest rates since Babylonian times and the economy still staggers along disappointingly. Low rates are supposed to goose inflation but right now, even with rates barely above zero, central banks can’t even manage to hit a 2% inflation target. Today, deflation is a bigger threat than inflation. What is going on? Have I been talking trash? No, we just live in interesting times. For close to twenty years we have been in the midst of what former Fed Chairman Ben Bernanke calls “a global savings glut” and Larry Summers calls “secular stagnation”. Interest rates, remember, are the price of money, and the price of money (like everything else) is determined by supply and demand. Yes the central banks set a benchmark short-term rate but all other interest rates are mostly fixed by the interaction between the supply of savings and the demand for borrowing. When firms are desperate for funds to build factories and expand their productive capacity, banks can increase the rate they charge. When savers are in short supply, bank will have to increase the rate they pay in order to tempt depositors. Neither is the case today. Rates are low (and will probably continue to be low) because the global supply of savings is huge and the demand for investment isn’t. The fundamental function of interest rates is to match our collective desire to save and our collective desire to invest. High rates encourage saving, low rates encourage investing. You are more likely to buy or renovate a house when borrowing costs are low. When rates are high, you will instead be tempted to buy a bond or put money in the bank. The “natural” rate of interest is the one that balances the needs of savers and investors and makes desired savings and desired investment equal. Today, bizarrely, this “natural” rate is less than zero. The desires of savers and investors are so out of whack that even interest rates barely above zero are not enough to bring them into line. Firms, which normally borrow money to finance expansion, are instead sitting on mountains of cash. Before the financial crisis, increased mortgage lending took up some of the slack created by business’ insipid investment needs. Today neither firms nor households are borrowing enough to stimulate economic growth. This unprecedented imbalance between savers and investors forces interest rates down. On the demand side, business borrowing is sluggish because capital goods, the machines and tools and factories needed to produce other products, keep getting cheaper. We all know it takes fewer workers than previously required to produce the same quantity of goods. What is just as true (if not as obvious) is that it takes less capital as well. I can see it in my own business of television production. It used to cost hundreds of thousands of dollars to buy cameras and lights and editing equipment good enough to produce a professional quality motion picture. Today you can shoot a movie on your iPhone and cut it on your laptop and still have your film lauded at Sundance. J. P. Morgan needed billions to build US Steel. Mark Zuckerberg founded Facebook with a rented house and a few servers. Everything from steel mills to start-ups requires less capital than ever before. Firms can create more goods and services with fewer and cheaper capital goods, reducing the demand for investment. Meanwhile, on the supply side, increased inequality means more money goes in the pocket of rich people and rich people save more and spend less of their income. Poor people have to spend everything they get just to get by. The rich, on the other hand can put money away for a rainy day. We save, mostly, because we fear the future and want to make sure that we can continue to consume even if our income declines. Today, professional insecurity is rampant, even amongst the affluent. Few of us are confident we will be able to hold onto our jobs as long as we want. So as soon as we meet our current consumption needs, we try to put some money aside, so we can continue to eat and pay rent should we lose our jobs. Technological advances allow us to produce goods more cheaply, while economic insecurity frightens us into saving more and spending less. The desire to save increases even as the need for investment decreases. These two trends are not likely to reverse. These microscopic interest rates are not an anomaly: they are likely to continue as far as the eye can see. This creates an unprecedented problem for policy makers. If you can’t cut interest rates below zero, how can you stimulate the economy? Until the financial crisis, economists were convinced they knew how to end recessions. They had so much confidence in the power of monetary policy they thought they could cure any economic slowdown merely by cutting rates. The past eight years of low rates but little growth have shaken that certainty. The government has two tools with which to influence the economy: monetary policy, the control of interest rates, and fiscal policy, government tax and spending. For most of the past thirty years monetary policy was thought so powerful that fiscal was almost unnecessary. But now monetary policy has reached its limit. The Bank of England knows it. The Federal Reserve knows it. So do most reputable economists. Monetary policy is maxed out. It is time to try something else. Interest rates are low today because collectively we have more money than ways to spend it. The private sector craves safe assets, risk free places to put its money. It wants to save. It doesn’t want to borrow. That means that government can access capital remarkably cheaply, allowing it to invest in infrastructure and education at little expense. Low interest rates are markets way of telling governments to borrow and spend. Austerity has been the wrong medicine, bleeding a patient that needed a transfusion. So I’ve spun this tale banging on about the importance of interest rates only to end up saying that today, maybe for the first time ever, they are not as effective as they used to be. (Actually, that is not true. Raise interest rates now and watch the global economy collapse.) Interest rates once were the most powerful way to stimulate growth. At zero, they are that no longer. Now, plunging into unprecedented low levels, they have morphed from a tool into an alarm, telling us our economy is broken. Secular stagnation, a term invented in the 1930s and brought back into fashion by Larry Summers a few years ago, is caused by a reluctance by the private sector to invest as much as the economy requires. If the private sector won’t invest, then the public sector must. In times of secular stagnation, the government should become “the investor of last resort”. We still need investment, in infrastructure, in education, in basic research, even if the private sector is too fearful to fund it. Only once we recognise what is wrong with the economy can we start to fix it. The cure is right before our eyes. Keynes knew it, Hansen knew it, Kalecki knew it 80 years ago. Increased government spending can bring the economy back to full employment. The microscopic interest rates of the past decade tell us it is time for stimulative fiscal policy. The powerful are pleased we find interest rates boring. It lets them make money and it means we don’t get in their way. Much better we obsess about Johnny Depp’s finger and Amber Heard’s charitable contributions than we understand the mechanism at the heart of political economy. In summary, an interest rate cut will: raise GDP, stimulate investment, reduce savings, lower unemployment, stimulate inflation, weaken the currency, and make shares, bonds, and houses more valuable.